Just got back from Catalina island today, I picked up a used 55" hybrid that you made and have been using it on a lot of different fish, it's very light and accurate! I was working the calico bass today and on one drop I saw two yellows come through and got one close enough to take a shot, the shot put a lot of hurt on it and it took some of the fight out :). I wish it was bigger but it was probably between 15-20 lbs or so, hopefully I'll shoot a big one soon with my Ono gun so I can send you a better pix! 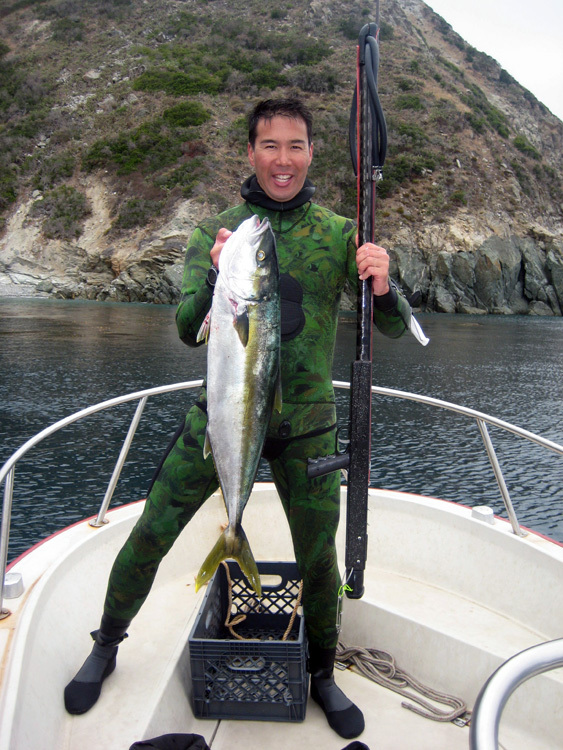 Yesterday I stoned a small yellowtail after work on a shore dive with the hybrid as well, your guns are good luck!